The 23rd edition of “Festival International Nature Namur Belgium” took place from the 13th to the 22nd of October 2017. My Leopard picture "Peek-a-Boo" received the second place "Prix du Public"." 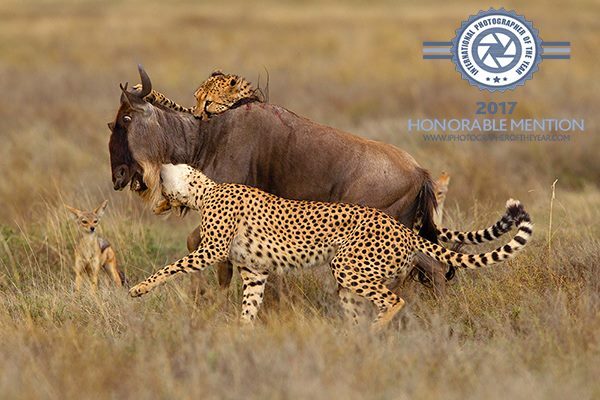 The photo of the "Two Cheetah Brothers killing a Wildebeest" was also selected for the exhibition. 6000 pictures taken by photographers from all over the world were entered. This competition aims to show pictures of fauna, flora and landscapes made in full nature.